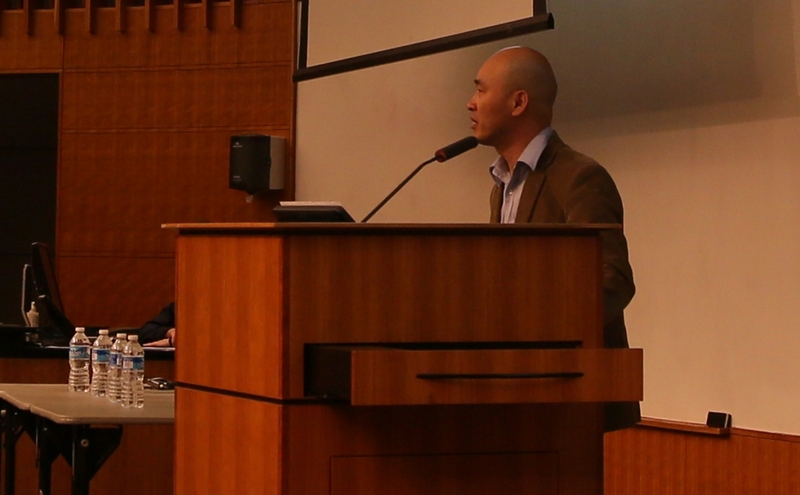 Two North Korean defectors recently reconnected with DukeEngage South Korea alumni to speak at Duke about their experiences living in and escaping from North Korea. The DukeEngage program in South Korea places students at the Malmangcho School to teach English. During the summer of 2105, the Duke students and the two refugees, Sam Kim and Bomhyang Lee, met and began planning this visit. The refugees’ talk was not only an inspirational story of reunion; it was also a valuable dialogue aiding in the elimination of stereotypes surrounding North Korean citizens. DukeEngage is happy to have helped bring the young defectors to campus. The Chronicle published an article about the visit and lecture (2/22/2016).